Allons (Al lohn): Let's go. Lache pas la patate (Losh pa la pa tot): Don't let go of the potato or don't give up (a testament to the enduring spirit of the Cajun people). Bayou (bi-yoo): The streams crisscrossing Louisiana. Bon Appetit! (bon a-pet-tite'): Good appetite - or "Enjoy!" Boucherie (boo-shuh-ree): A community butchering which involves several families contributing the animal(s) --usually pigs -- to be slaughtered. Each family helps to process the different cuts of meat, like sausage, ham, boudin, chaudin, chops, and head cheese. Each family gets to take home their share of the yield. This process was done in late fall to provide meat throughout the cold months. Boudin (boo-dan): Hot, spicy pork mixed with onions, cooked rice, herbs, and stuffed in sausage casing. Bourre (boo-ray): French for "stuffed”, it is the name of a Cajun card game which requires the loser of a hand to stuff the pot with chips. Ça va (Sa va): That’s enough. Cajun (cay-jun): Slang for Acadians, the French-speaking people who migrated to South Louisiana from Nova Scotia in the eighteenth century. Cajuns were happily removed from city life preferring a rustic life along the bayous. The term now applies to the people, the culture, and the cooking. Cayenne (ky-yen): A hot pepper that is dried and used to season many Louisiana dishes. Cher (Sha): Dear (a term of endearment). Couche-Couche (koosh-koosh): A popular breakfast food, made by frying cornmeal and topping it with milk and/or cane syrup. 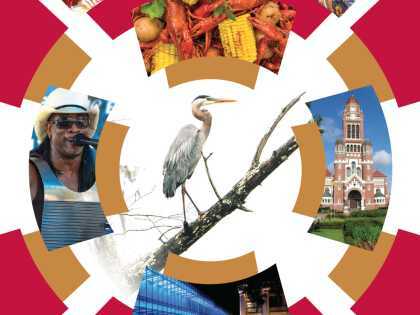 Creole (cree-ol): The word originally described those people of mixed French and Spanish blood who migrated from Europe or were born in Southeast Louisiana and lived as sophisticated city or plantation dwellers. 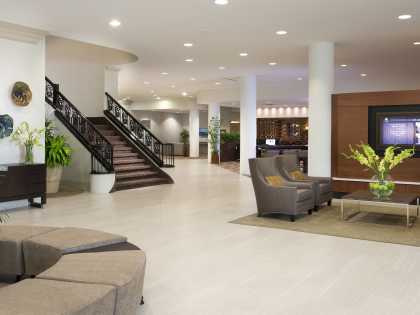 The term has expanded and now embraces a type of cuisine and a style of architecture. Etouffee (ay-too-fay): A succulent, tangy tomato-based sauce. A smothered dish usually made with crawfish or shrimp. Crawfish and Shrimp etouffees are New Orleans and Cajun country specialties. Fais-do-do (Fay doe doe): A dance. Literally “go to sleep” – a phrase whispered by French-Speaking Cajuns to their children so the parents could join in the dancing. Filé (fee-lay): Ground sassafras leaves used to season, among other things, gumbo. Fricassee (free-kay-say): A stew made by browning then removing meat from the pan, making a roux with the pan drippings, and then returning meat to simmer in the thick gravy. Gumbo (gum-boe): A thick, robust roux-based soup sometimes thickened with okra or file'. There are thousands of variations, such as shrimp or seafood gumbo, chicken or duck gumbo, okra and file' gumbo. Jambalaya (jum-bo-lie-yah): Louisiana chefs "sweep up the kitchen" and toss just about everything into the pot. A rice dish with any combination of beef, pork, fowl, smoked sausage, ham, or seafood, as well as celery, green peppers and often tomatoes. Joie de vivre (Jhwa da veev): Joy of living. Lache pas la patate (Losh pa la pa tot): Don’t let go of the potato or don’t give up (a testament to the enduring spirit of the Cajun people). Lagniappe (Lahn yop): Something extra. Laissez les bons temps rouler (Lay say lay bohn tohn roo lay): Let the good times roll. Maque Choux (mock-shoo): A dish made by scraping young corn off the cob and smothering the kernels in tomatoes, onion, and spices. Pain Perdu (pan-pear-doo): Means "lost bread"; a breakfast treat made by soaking stale bread in an egg batter, then frying and topping with cane syrup or powdered sugar. Pauve ti bete (Pove tee bet): Poor little thing. Pirogue (pee-row): A Cajun canoe. Po-Boy: A sandwich extravaganza that began as a five-cent lunch for poor boys. 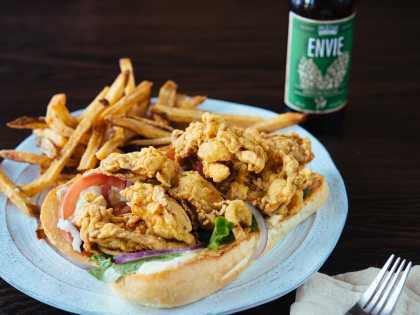 Always made with French bread, po-boys can be stuffed with fried oysters, shrimp, fish, crawfish, meatballs, smoked sausage and more. Praline (praw-leen): The sweetest of sweets, this is a candy patty made of sugar, cream and pecans. Roux (rue): Base of gumbos or stews, made of flour and oil mixture. Sauce Piquante (saws-pee-kawnt): Means "spicy sauce"; is a spicy stew. Tasso (tah-soh): Strips of spiced pork or beef which are smoked like jerky and used to flavor many dishes; a sort of Cajun pepperoni. 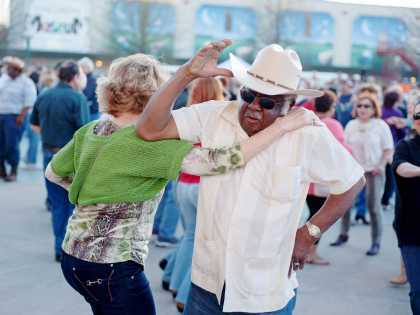 Zydeco (zi-de-co): A relatively new kind of Creole dance music that is a combination of traditional Cajun dance music, R&B, and African blues.